This single story, 80s inspired home quickly became a labor of love for the dasMOD Founders, Erik Gilmer and Sven Simon. The duo stumbled upon 2222 Via Tiempo, when looking for homes to repurpose that weren’t totally perfect but also not in shambles. Builder: The Brown Studio, Inc. Interior Styling: Handsome Salt. Photography: Jenny Siegwart. 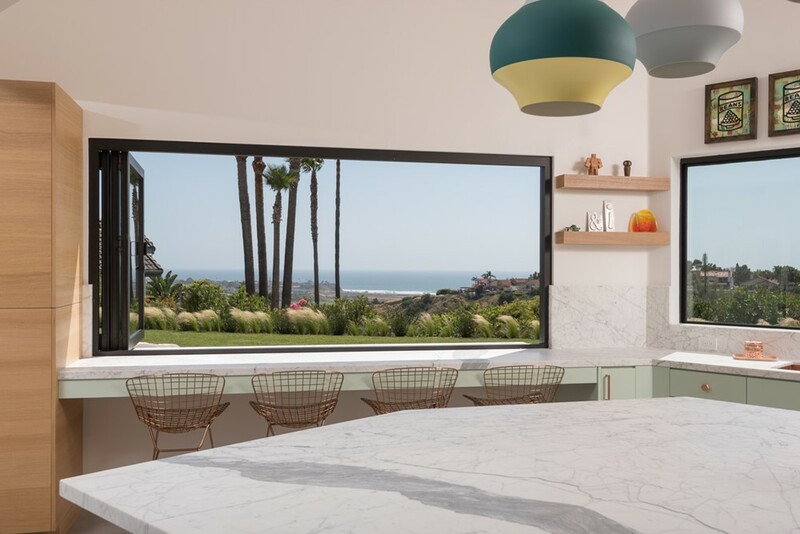 The public areas of the house, such as the kitchen, dining, living, and entertaining areas open up towards the backyard with sit-down white-water ocean views beyond. This entry was posted in bathroom, bedroom, house, kitchen, living and tagged bathroom, bedroom, house idea, houseidea, Inc., kitchen, living, myhouseidea, The Brown Studio, Via Tiempo on November 11, 2017 by admin.